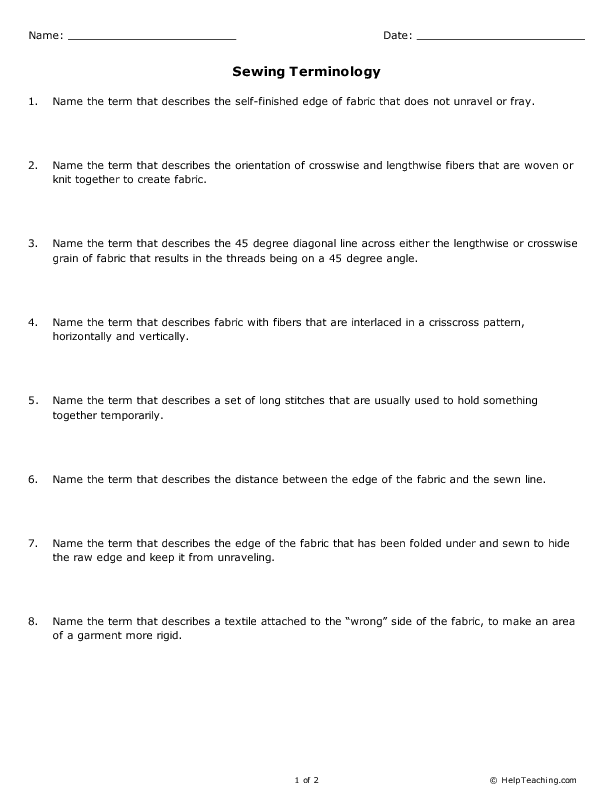 If you have students who are interested in sewing, give them a chance to practice some sewing-specific words with this sewing terminology worksheet. 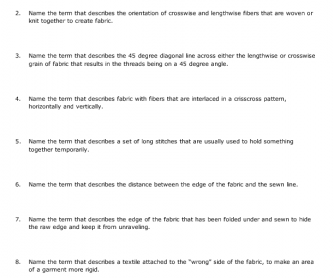 Sewing is an important life skill and knowing key terms can help students. Find more life skills worksheets on HelpTeaching.com.